It’s a New Year, so it's only fitting to introduce a new blog post series: a monthly "roundup" post featuring five recommendations on where to eat, drink and be merry around town and beyond. Some places are oldies but goodies, having previously been featured on this blog. Others are brand spanking new, only recently opening or coming across my radar. But no matter new or old, they’re all amazing locations definitely worth your patronage. I hope you enjoy the first post in the series and let me know of any other places that you've been excited about lately, in the comments section below! Wild Living Foods will help us all honor our New Year's resolution to eat better, as it offers an eclectic, colorful array of super healthy, organic, plant-based foods and beverages. Foods that you'd never even imagined could've been plant-based are suddenly transformed into wondrous meatless beauties — I'm talking sushi, burgers, milkshakes and even chile rellenos (pictured above). Order off a dine-in menu or grab pre-made items like salads and cold pressed juices to-go. The casual eatery is right on the corner of 8th and Main St. in DTLA's vibrantly bustling Fashion District. A new hidden cocktail den has claimed its stake in downtown Los Angeles. Birds & Bees officially launched Saturday, Jan. 28, bringing a 1950s flair and tons of craft cocktails with cleverly creative names to the city; I mean, who wouldn't want to sip an Ella Fitzgerald (pictured above)?! But while the names may be cute, the libations are quite potent, typically including two to three types of rare, exotic liquors. There's also a fun and unusual way to find this underground bar, but I won't give away any secrets — you'll have to figure it out yourself! The Backstage in Culver City is one of those dive bars that’s a great option — no matter what day of the week it is. It’s never a hassle to get in, the drinks are good and strong, the food satisfying, and, there are so many activities to get into, including pool and trivia games. But hands down, karaoke is the best. You never know who’s going to take the stage, but you know it’s going to be a good performance. A diverse and energetic mix of people always pack the place. With Super Bowl LI happening in Houston in a few short days, it only made sense to once again share my #WilsonsGuide Top 12 List of Houston. For anyone traveling to the city that weekend — or really anytime — this guide a must-read, filled with suggestions on the best places to frequent, year round. From the best BBQ joints to breakfast spots and outdoor activities, you're bound to have a good time exploring H-Town. Go Patriots! It’s an understatement to say that the national activities of this past month have left many of us feeling dismayed, depressed and disheartened. 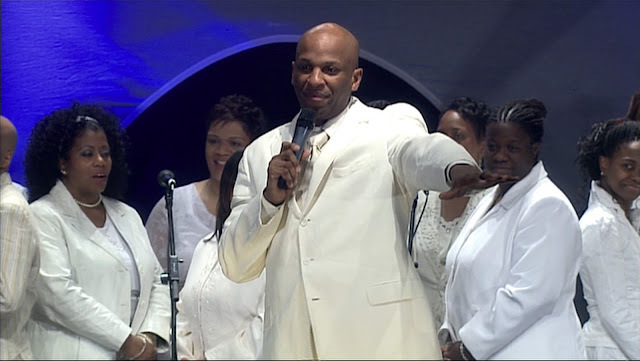 So it only made sense to turn to a former interview with gospel singer Donnie McClurkin for some inspirational wisdom to get us through these weary times. While this interview originally posted around the launch of the 2012 King’s Men Tour featuring McClurkin, Kirk Franklin, Israel Houghton and Marvin Sapp, McClurkin most certainly provides timely insight in dealing with national tragedies, overcoming adversaries and propelling his own career forward. 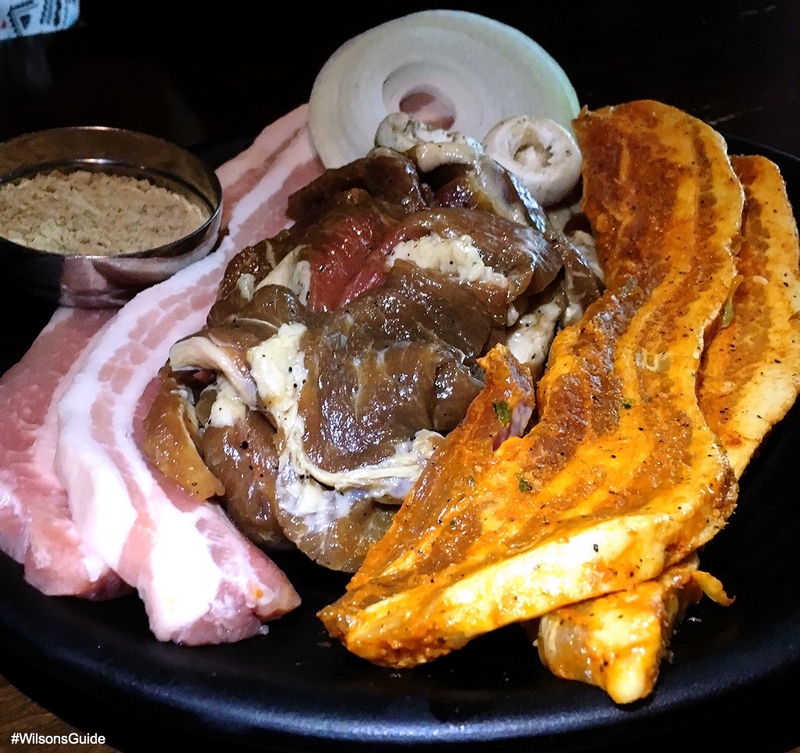 I’ll Be Back…: For the beef bulgogi! dineL.A. Restaurant Week officially launched this past Friday, Jan. 13, and is going on for the next two weeks, until Friday, Jan. 27. It’s an annual event where hundreds of restaurants create pre-fixe lunch and dinner menus that typically include two to three courses. These menus are usually lower in price than normal, so it’s a great time to try new places, expensive places, old familiar places that you love…and still keep some extra coins in your pocket. One restaurant in particular that's getting in on all of the dineL.A. action is Culver City’s Hanjip. Located right off of the main Culver Blvd. thoroughfare, it features a $29 dineL.A. dinner menu where you can order a soju cocktail or soda, kimchi fried rice and sides, and an all-you-can eat selection of meats and seafood, that you cook on a grill at your table. 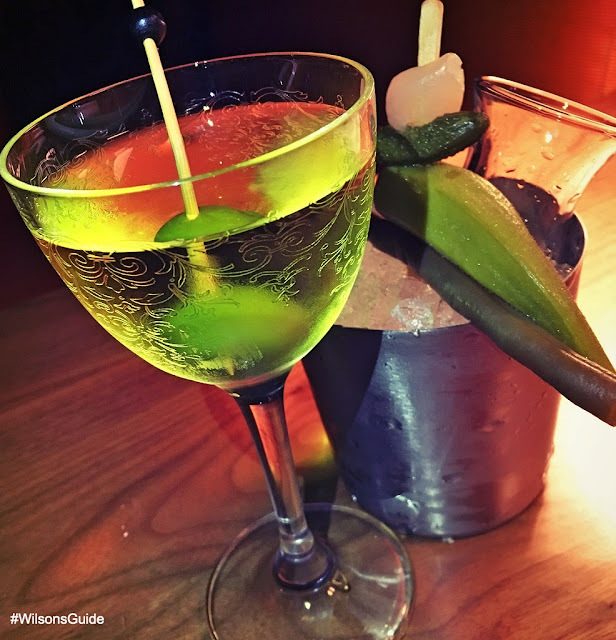 There are four flavored soju cocktails to pick from, and a massive specialty cocktail — the Watermelon Soju, pictured below. 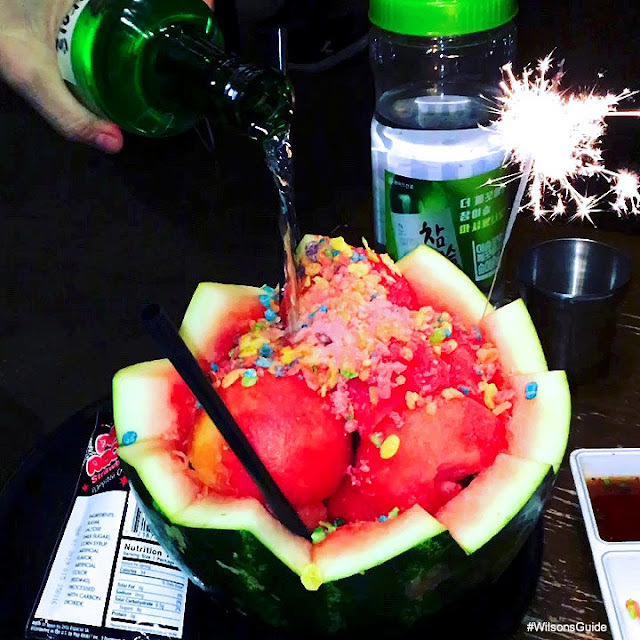 It arrives in a halved watermelon with fruity pebbles and pop rocks that literally pop in your mouth. And if you don’t like soju, beers and wines are also available (but, no hard spirits). 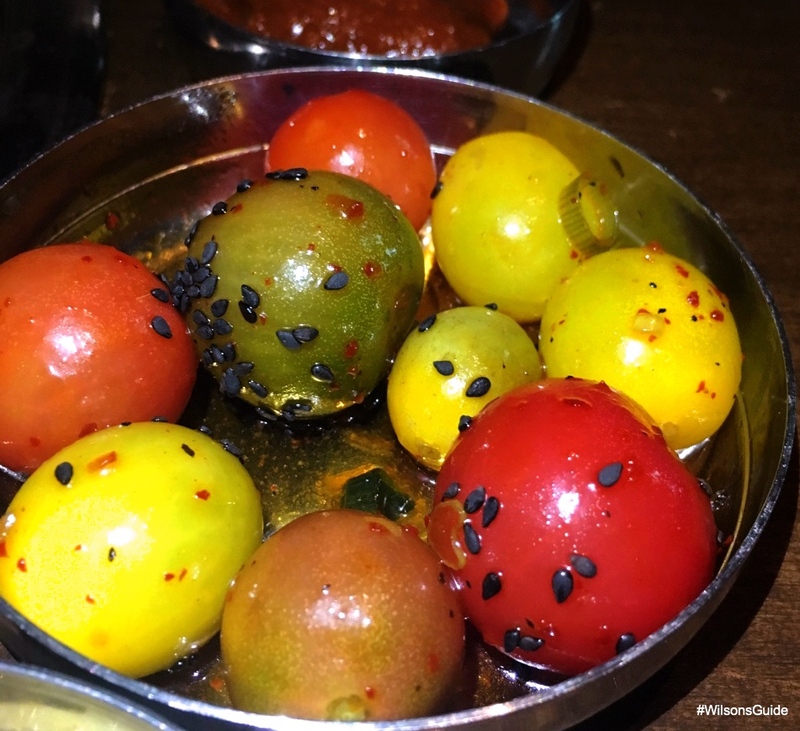 The six sides include everything from broccoli to heirloom tomatoes (pictured below) and pickled onions, my favorite. You can also ask for raw white onions to grill on the side. Specifically for dineL.A., you get 20 selections of meats and seafood: beef, chicken, pork, shrimp and octopus. The beef bulgogi is fantastic; it’s tender and lathered in a flavorful marinade. I’m also a fan of the garlic chicken and pork belly. My friend and I split four items between us and were beyond full. Side note: You can’t take anything to go if you don't finish it all. 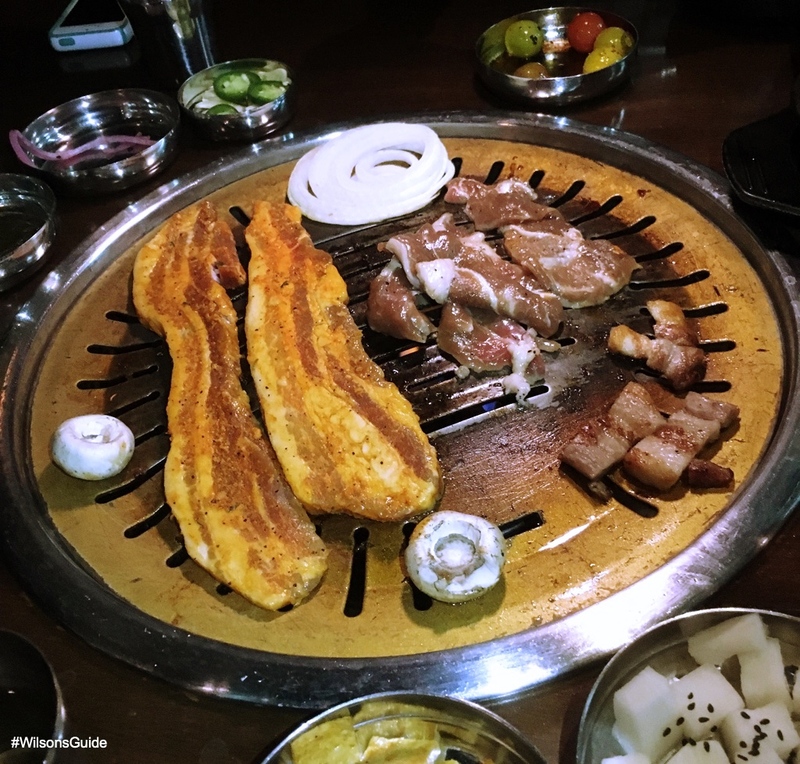 Staff frequently come around to help cook the meat on your grill and announce when it’s ready, so if you’re new to the whole Korean BBQ experience or don’t feel like dealing with remembering when to turn your spicy shrimp, don’t worry, they’ve got you covered. So the next time you’re in the mood for Korean BBQ on the Westside and don’t feel like heading to Koreatown, make your way to Hanjip — especially if it’s from now until Jan. 27, to experience the dineL.A. Restaurant Week menu. While this past year was definitely a doozy for so many reasons on both national and international fronts, there were still a lot of awesome happenings going on, right here in Los Angeles. So in annual due fashion, I’ve put together a list of the top 10 moments from the past 12 months. 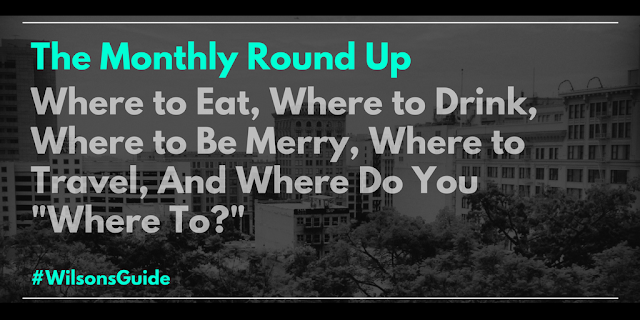 It’s a roundup of the most memorable highlights in L.A.’s social/restaurant/nightlife scene that yours truly has written about throughout the year. Read on below, and don’t forget to leave your 2016 highlights in the comments section below. Here’s to 2016, and Lord willing, an even better 2017! #10) The Rams return to Los Angeles. 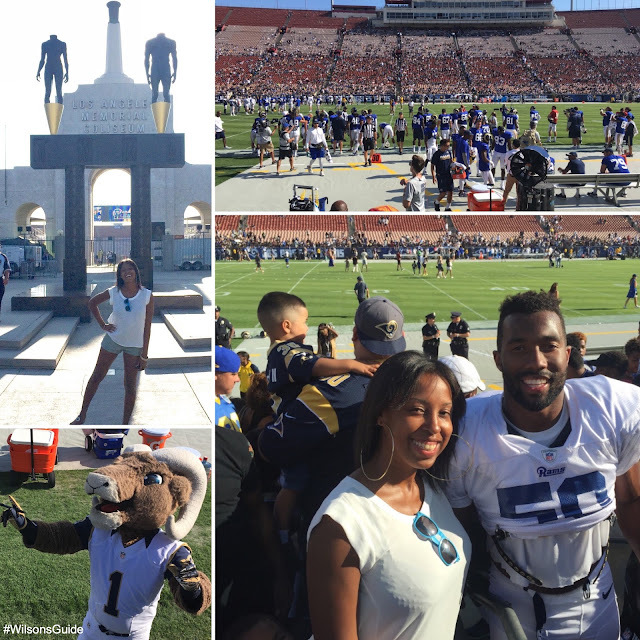 The Rams officially came back to the City of Angels this past fall and to commemorate the occasion, held training camps that were free and open to the public. While most of these training sessions were at the University of California, Irvine, a special one in particular — coined “Family Day”— was held at the historic Los Angeles Memorial Coliseum. I captured all of the action of that afternoon — including player signings, mascot appearances and intense drills — in a blog post that you can read here. #9) We deserve to be pampered. 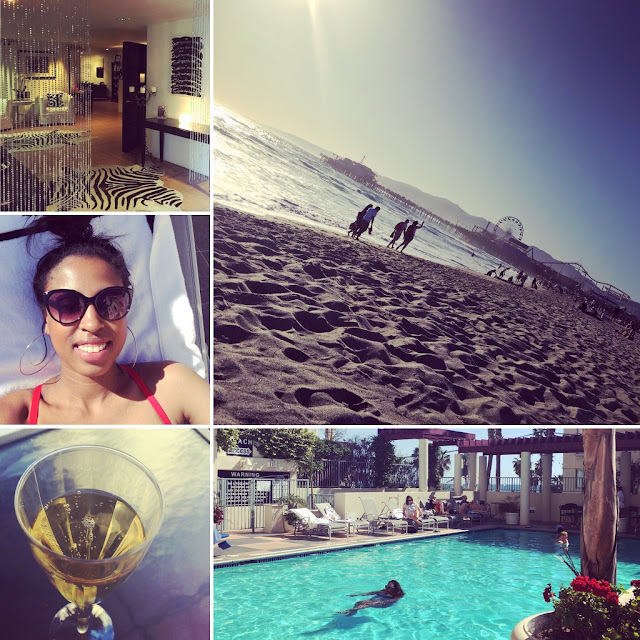 I’m all about giving myself lots of TLC, which is why I’m always down for a spa day. Fortunately, I stumbled upon an amazing spa that had a discounted deal running for several months on Travelzoo, Le Merigot Spa. Aside from a prime location literally right on the beach, this urban oasis boasts wonderful massages, an awesome cocktail/food menu and a pristine pool. It was the perfect place to escape to! #8) New players take the stage. 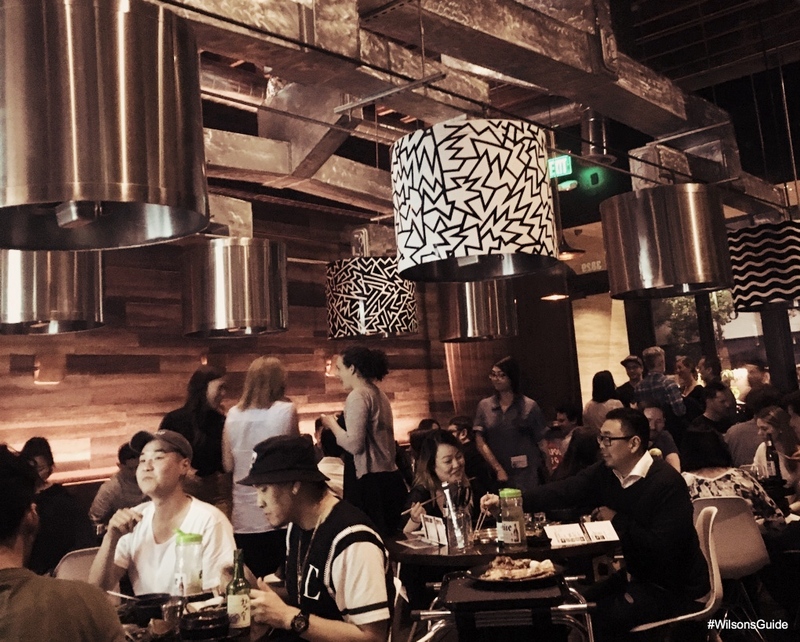 What should come as a surprise to absolutely no one, hundreds of noteworthy restaurants open annually in Los Angeles. Fortunately, I captured a few of these new launches as they happened. 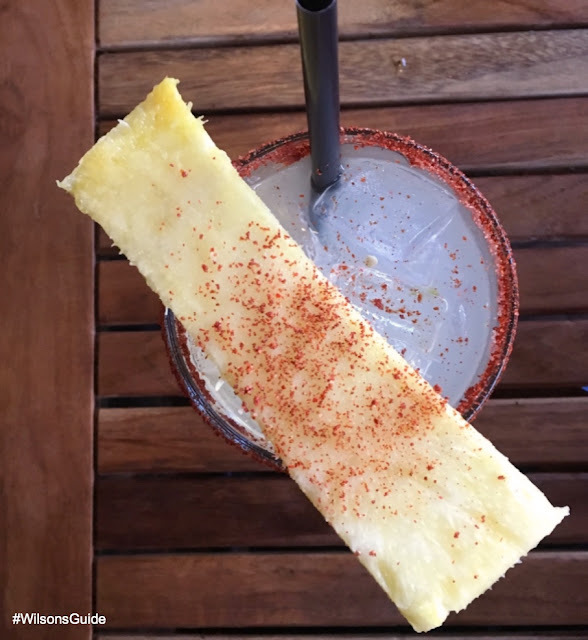 SOL Mexican Cocina Playa Vista officially opened in January 2016, featuring its own spin on traditional Baja Mexican cuisine and fresh margaritas, like the Pineapple Serrano Margarita, pictured below. The Chicken or the Egg, a very casual eatery that’s also in Playa Vista, debuted this Fall, dishing out sandwiches comprising organic, cage-free chicken and eggs. Good Greek Grill, which initially started as a food truck, opened its second brick-and-mortar location, bringing us amazing twists on Greek classics. #7) Old players remain in the game. 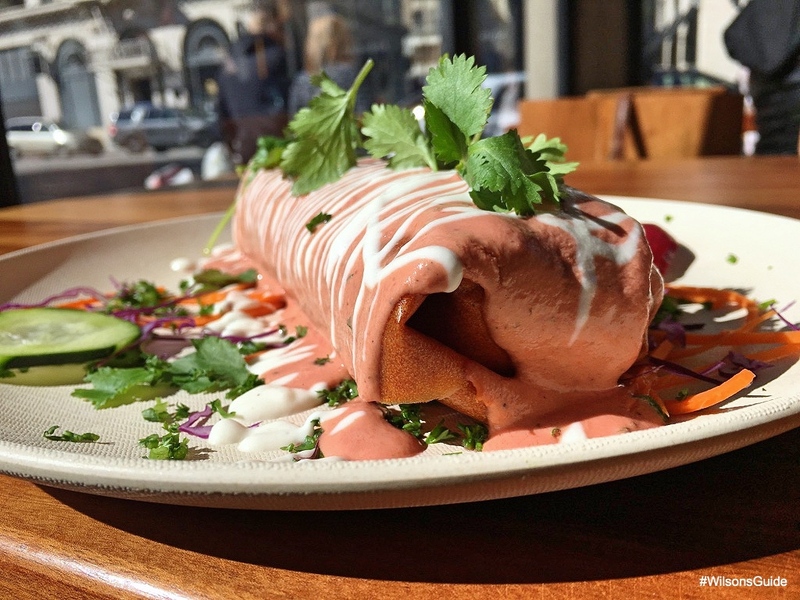 Old restaurant staples proved they were not to be forgotten nor outdone by these new restaurants popping up all over town, reinventing themselves with new menus, new décor and new attitudes. The District by Hannah An debuted 14 new dishes this spring, including the Dungeness Crab, pictured below. Napa Valley Grille in Westwood got a new look and a new brunch menu, all while celebrating its 15th anniversary. Hard Rock Café Hollywood introduced Mason Jar Sips during the summer — colorful alcoholic frozen blends that were quite refreshing on hot days. And Yamashiro Hollywood revamped everything with its Lucky 7 Happy Hour this past Fall, including a new menu, new chef and new location on its outdoor patio. #6) Bienvenidos a Miami. 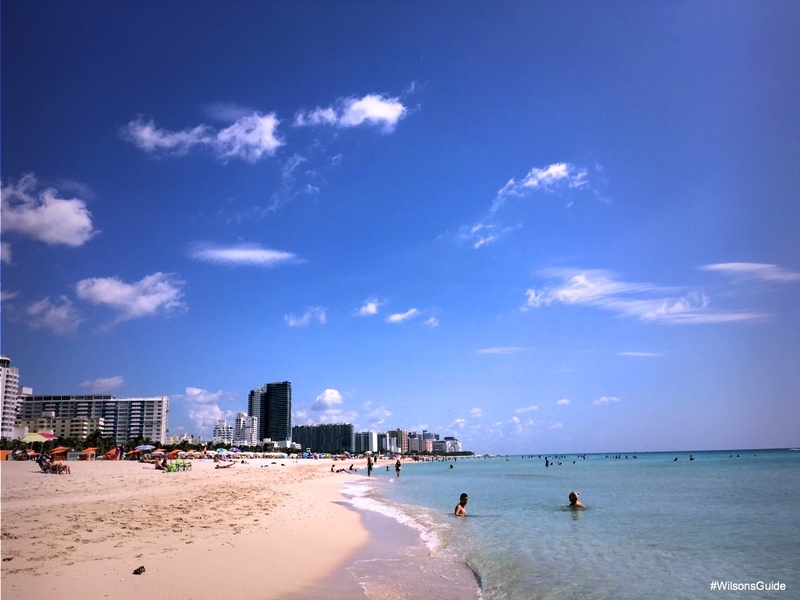 This past spring, I had to shake, rattle and roll out of Los Angeles for a much-needed vacay, and lo and behold, found myself in Miami. And while I've frequently frequented South Beach, for the first time ever, I got to explore some other amazing neighborhoods: Coconut Grove, Wynwood, Brickell, Little Havana. I wrote all about my excursions in each little enclave in a post you can read here. #5) Echo Park Lake still has it. 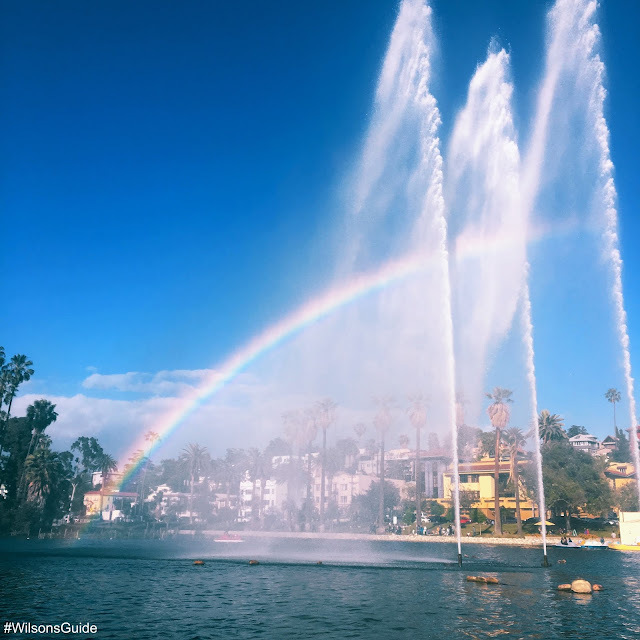 As one of the city’s oldest parks, Echo Park Lake has gone through a lot throughout the decades — including highs like being featured in classic films such as Chinatown and lows such as pretty bad gang-infestations. 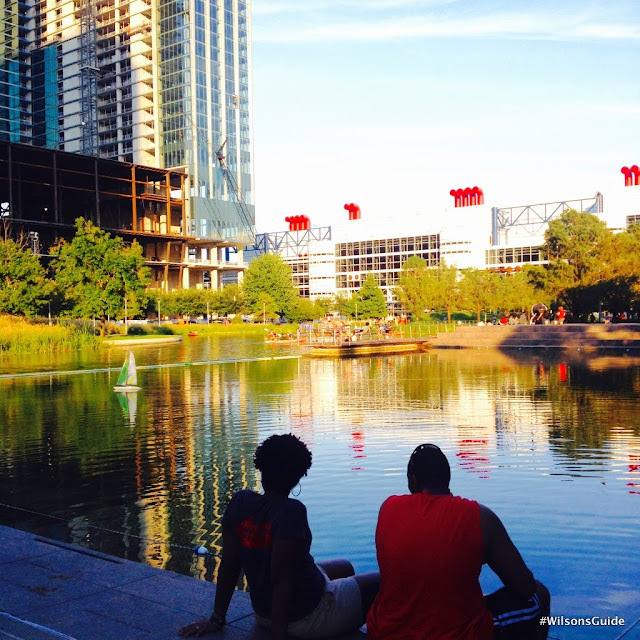 But now, three years after a $45M renovation that includes wildlife restoration, the park is still going strong. With so many FREE and/or inexpensive activities to partake in — pedal boating, street food vendors or simply lounging on one of the many green knolls and taking in the scenery — there’s no reason not to make a trip here on any given sunny day. #4) That salmon can’t be vegan. I don’t know about you, but when I think vegan, I think of boring nuts, berries, and other bland foods that will leave me hungry, 20 minutes after eating them. 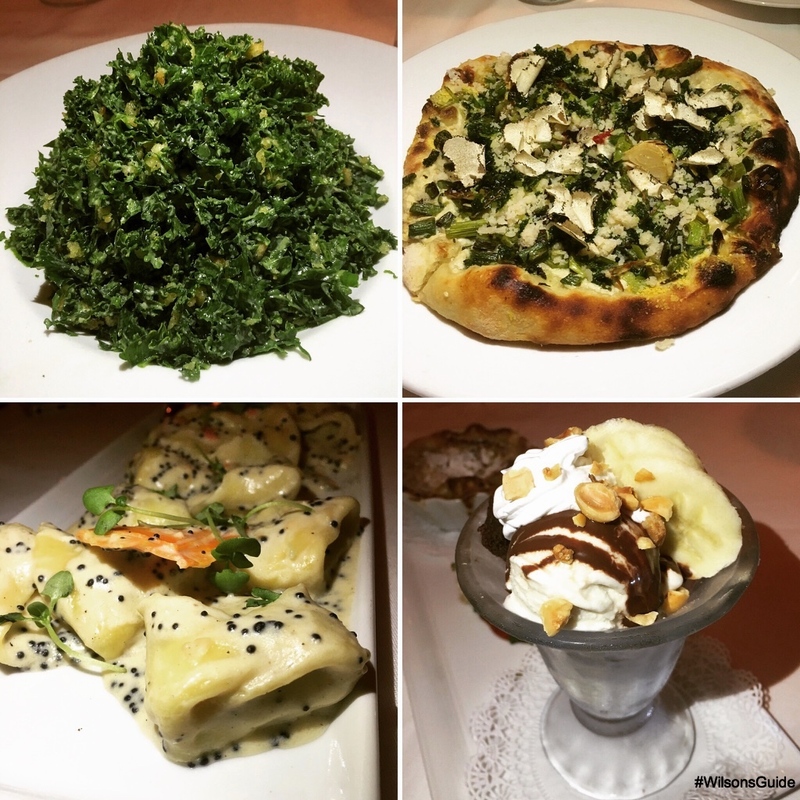 That all changed once I headed to Crossroads, a very chic, very vegan restaurant on Melrose Ave. It’s managed to create these amazing items from vegan ingredients that literally taste just like the real deal — I’m talking ice cream, cheeses and yes, even salmon. Carrots are transformed into “salmon” in the tortellini with heirloom carrot lox and kelp caviar entrée, getting the taste and consistency right, down to a T.
#3) Hidden hole-in-the-wall spots. I almost didn’t want to write about these next few places, because I wanted to keep them all to myself and not let anyone else in on the secret. 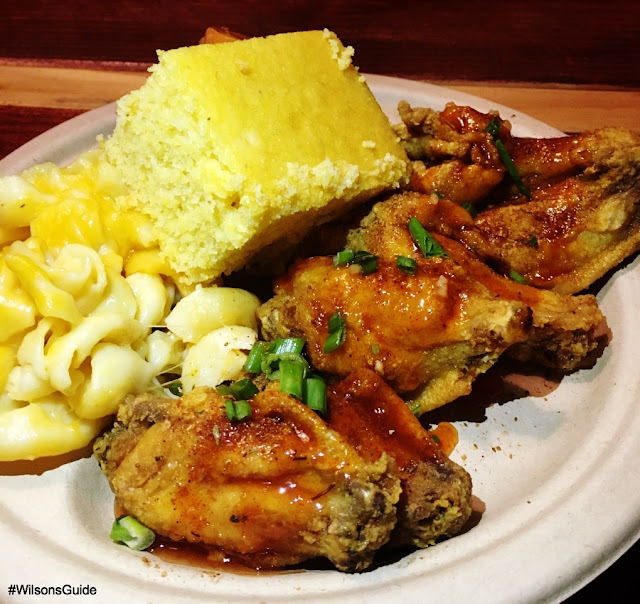 Comfort LA in downtown serves up fried chicken with “that sauce” and healthy soul food sides like yams and greens, pictured below. Bonus: they’re open until 3 a.m. on weekends. The Flavor Table near Inglewood serves up heaping portions of hearty, Southern soul food breakfast and brunch goodies, like deep fried catfish with eggs and smothered pork chops and grits. Delicious Pizza, located near La Brea and Adams, artfully serves up gourmet pizza and pays homage to old school hip-hop in its décor, music selections and occasional events. #2) Inspirational figures. I’m always honored when I have the opportunity to interview amazing trailblazers who are killing it in their respective fields, and this year, I got to meet three incredible, talented luminaries doing just that. Carmelita “The Jet” Jeter (pictured below), three-time Olympic medalist and the world’s fastest runner, talked about what it’s like to be on the track during a race, her most memorable run and what sport she plans to conquer next. 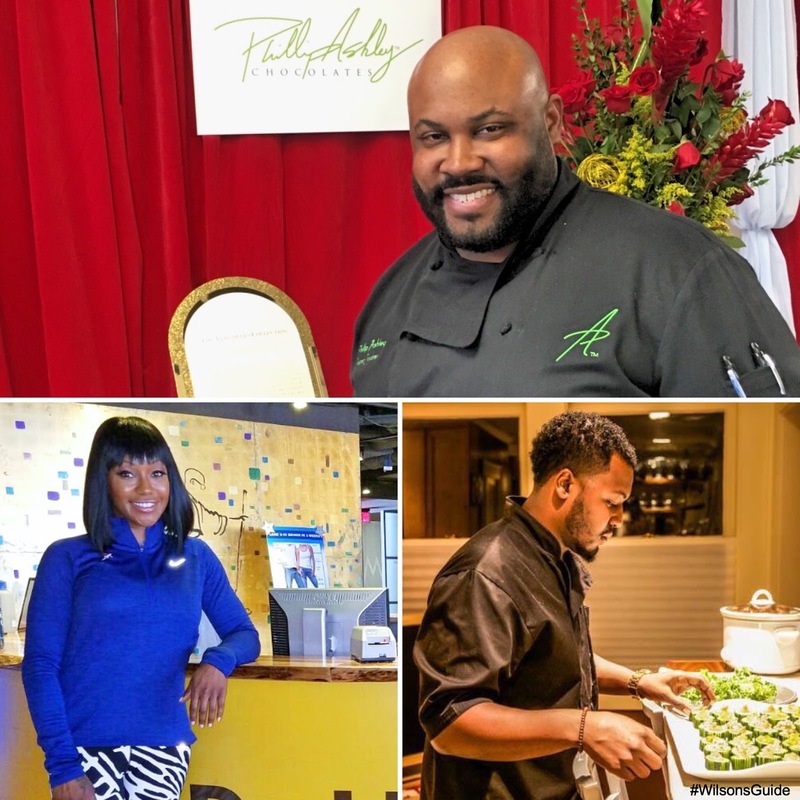 Jermaine “Chef Raw” Rawlings (pictured below right), who’s had a career with the U.S. Air Force and obtained an MBA, discussed what it’s been like to launch Frat Boy Cuisines, where he’s introduced his Caribbean-inspired dishes to A-list celebs like The Game, Boris Kodjoe, Nicole Murphy, Garcelle Beauvais and Tyrese. And chocolatier Phillip Ashley Rix (pictured top), who I met at the GRAMMY gifting suite, shared more about making high-end, luxury chocolates that retail up to $3,000. 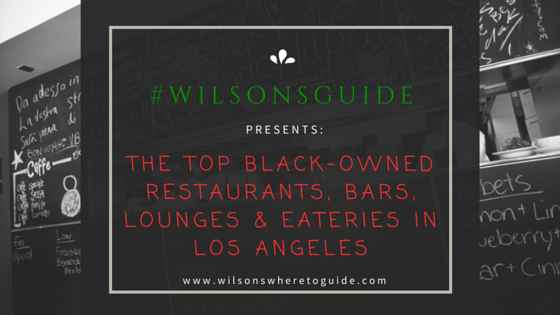 #1) Top Black-Owned Restaurants, Bars, Lounges & Eateries. In honor of Black History Month this past February, I created a list of the top black-owned restaurants, bars, lounges and eateries throughout Los Angeles. I wanted to take the time to highlight some of the amazing unsung heroes — these restaurant owners and chefs — who are keeping our bellies full with delicious meals and making positive impacts in our local communities and in so many of our lives, every single day. 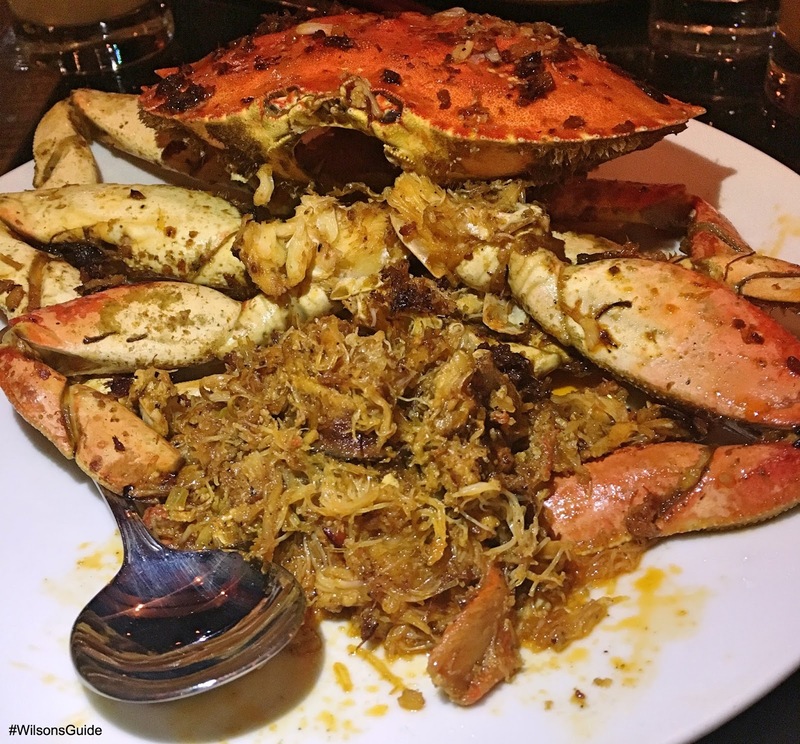 So from popular Brazilian dishes to jazzy Sunday brunches, health-conscious soul food and more, this list covers an eclectic, diverse range of cuisines and experiences that are sure to please all palates.